Michael Hoey took route 66 to fire himself into contention at the halfway stage of the SSE Scottish Hydro Challenge hosted by McDonald Hotels and Resorts. The experienced Northern Irishman has been struggling for form this season but showed no signs of that this morning as he signed for six birdies and just the one blemish to move into a share of 9th spot heading into the weekend. There was even more good news for Ireland as Gavin Moynihan, albeit on the Challenge Tour, secured a precious cut made in Scotland. The Dubliner has missed every cut since making his European Tour debut at the AfrAsia Bank Mauritius Open back in December. However three birdies yesterday find The Island man just one shot adrift of Hoey on minus two and with it all to play for heading into moving day. The news wasn’t so good for Ardlass’ Cormac Sharvin who fell short of the weekend’s magic number after a 72 this morning left him on four-over-par. Ballymena’s Dermot McElroy was in a similar boat home as he added a 73 to his opening 74 to miss the cut mark on five-over-par. West Waterford’s Gary Hurley restored some pride after his bitterly disappointing 82 yesterday. Hurley looked much better in carding a three-under-par 68 and although he’ll miss the business end of the tournament, a flicker of good form could be something on which to build entering a crucial period of the season. At the top end of the leaderboard, David Law continued to impress in his homeland by carding a two under par round of 69 to lead by one. The 27 year old held the overnight lead after signing for a blemish-free 66 in difficult conditions on the opening day and starting at the par four 11th Law continued from where he left off by holing a 12-foot putt for a birdie, and after a pair of bogeys and two further gains he reached the turn in 35. 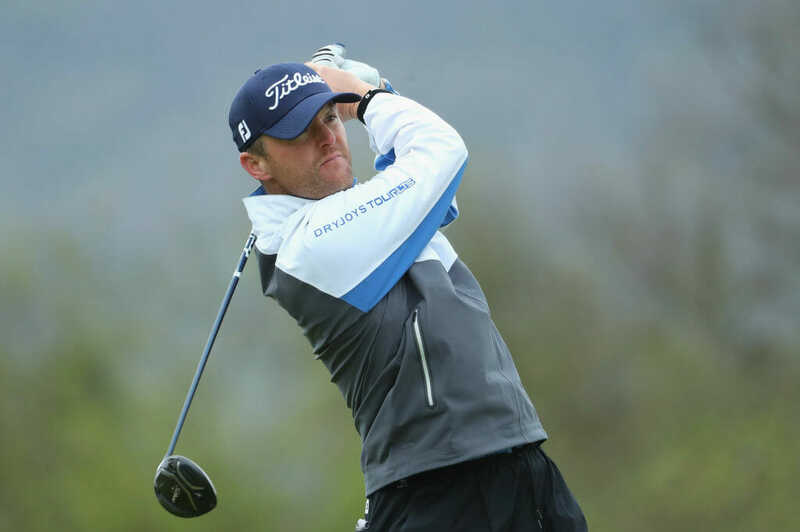 Law, who co-led the KPMG Trophy in Belgium alongside Wales’s Stuart Manley two weeks ago, added two more birdies to his tally over his closing nine holes to go into the weekend with the outright lead on seven under par. With Poland’s Adrian Meronk, Portugal’s Pedro Figueiredo and Manley all just one back, Law knows the competition is fierce but believes that his recent experience of being contention will help him in his bid for a first European Challenge Tour title.